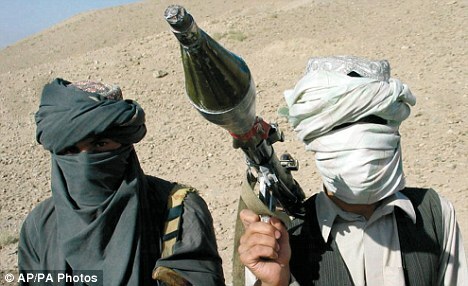 German intelligence sources have revealed a group of fanatical Islamist radicals became the laughing stock of the Taliban because they missed their mothers during a training camp. The nine would-be terrorists have been branded the ‘Cream Puff Brigade’ after they travelled from Germany in 2009 to the camp near Afghanistan. Instead they were laid low by diarrhoea, moaned about food, griped about their training and admitted pining for friends and family. Intelligence officials believe that the rigours the insurgents faced will help dispel ideas that the pilgrimage to fight Western forces is easy or romantic. 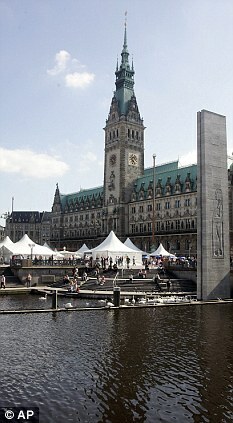 Hamburg‘s Office for the Protection of the Constitution – Germany’s domestic intelligence agency – initially called the gang ‘the travel group’, according to magazine Der Spiegel. Their new nickname came about when the group disintegrated under the rigours of life near the front line. ‘We knew all of them,’ one official told the magazine. They had been under surveillance for months because of their attendance at the Taiba mosque – spiritual home of the 9/11 attackers. In June and July this year, according to Spiegel, two of them were arrested in Pakistan, two more were killed in a recent drone attack. But all of them were, according to intelligence, useless at the art of waging Holy War. ‘When they left Hamburg, some of them had still been living at home with their parents in the rooms they’d grown up in. Aged 21 to 55, one was a former drug addict, one a failed businessman with a mentally disturbed brother, and another a small-time ‘pothead’ with a criminal record for petty theft offences. Most were jobless. In the winter of 2008 they resolved to go to Afghanistan to fight NATO forces. According to reports they split into four small groups early last year for the journey. Ahmad Sidiqi, an Afghan-German whose interrogations at the U.S. air force base at Bagram triggered the recent terror alerts across Europe, travelled with his wife and brother. Shahab Dashti, his friend, went along with his wife. Other included Naamen Meziche, who was born in Paris and Rami Makanese, 23, who was born in Frankfurt. Meziche, a fanatic, was arrested on the way out in Syria. The last group of three were a disaster from the start – one was arrested at Frankfurt Airport before he left, the other two were stopped at Vienna Airport and found to have a piece of paper with tips about ‘How to wage Holy War‘ written on it. When they arrived in Pakistan, the police put them in jail and then deported them back to Germany. In all five men and two women made it to a town in Pakistan near the border with Afghanistan. ‘Bedridden, feverish and afflicted with diarrhea, they were probably more of a burden than a boon to jihad,’ the article said. They were upset at having to pay for their food and weapons. Their Taliban masters made them write begging letters home seeking more and more cash. ‘During their telephone calls and in their e-mails back home, they sounded less and less enthusiastic and more and more discouraged about waging jihad,’ the security sources said. Sidiqui‘s younger brother was the first to pack it in and return home to his parents. Makanese also gave in to the rough conditions. He donned a burqa to get to the German embassy in Islamabad. He was arrested when he got back to Germany and is now in custody where he has, according to the security services, ‘been singing like a canary in the hopes of a reduced sentence when he gets to court’. ‘Shahab Dashti and Naamen Meziche were killed in a U.S. drone attack on Mir Ali two weeks ago. ‘The only people left from the original group are the two women, both of whom are now pregnant,’ said Spiegel.